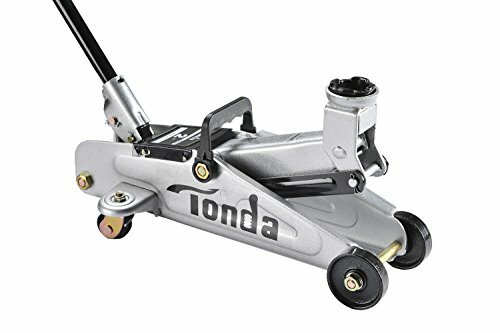 TONDA Machinery Co.,Ltd. is committed to the development and production of jacks and other hydraulic tools. We mainly products bottle jack series, floor jack series, as well as shop cranes and other non-standard products, with annual sales more than 3.5 million units of various products, which support a good variety of industries, and our fixed assets is more than 50 million. The company has passed the ISO9001:2008 quality management system certification. The products have passed the EU GS/CE certification, meet the United States ANSI/ASME2009 standards, as well as Australia AS/NZS 2693:2007 standard. TONDA Machinery has a long history and enjoys high reputation in the industry. Our production capacity and annual sales maintain a rapid growth each year. We always adhere to the concept of quality first and honesty first, no matter in the past or in the future,we take the responsibility as our own to create a world-class manufacturing enterprise, to make our products reach the international advanced standards in technology and manufacturing capabilities, to be the best jacks manufacturer, and to serve customers all over the world. Large steel casters and swivel casters for easy maneuverability. The min height is 13.5cm, about 5 inches and the max height is 335mm, about 13.2 inches. Lightweight for easy mobility and transport. All welded steel frame construction with rust resistant finish for longer tool life. Built to suit the needs of all trades from professional to the DIY lover. Ideal for auto,SUV, truck service, farm, and shop use. Designed to meet ANSI/ASME PALD 2014 standards. If you have any questions about this product by TONDA, contact us by completing and submitting the form below. If you are looking for a specif part number, please include it with your message.